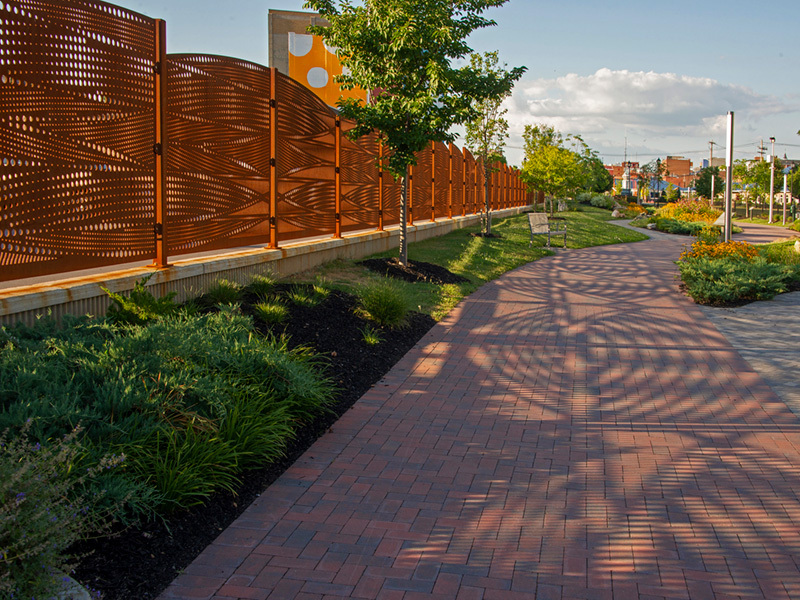 Hagerstown gained the nickname, “Hub City,” as it continues to be a significant transportation hub. 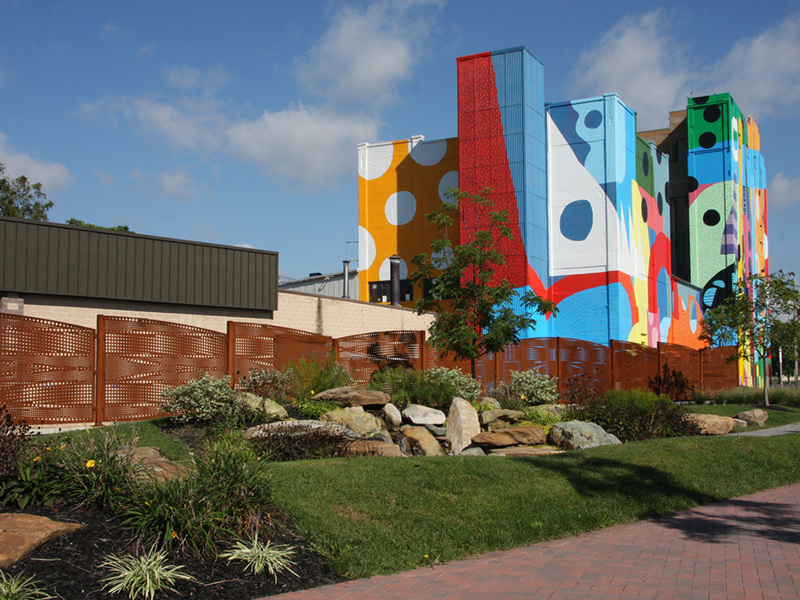 Major railroad systems like the Baltimore and Ohio and the historic Western Maryland Railway once converged at this site. 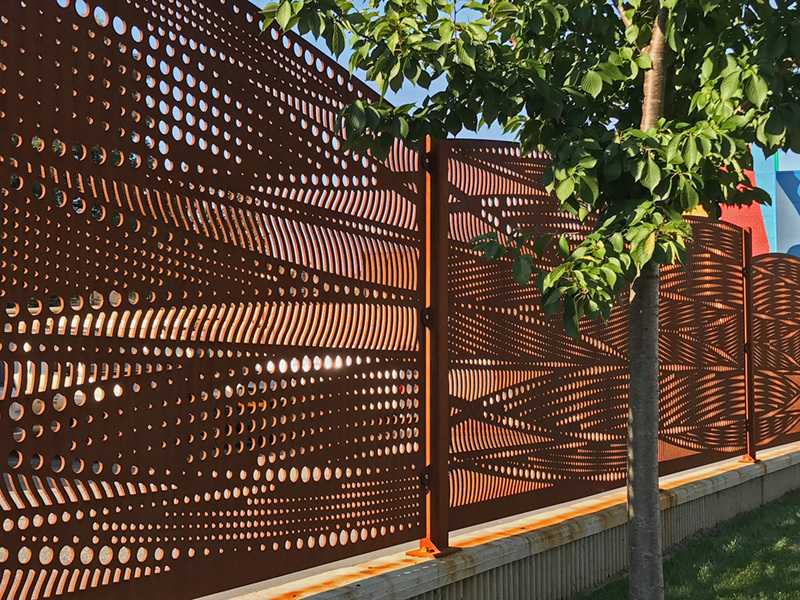 Nature, technology and history inspire this undulating work of Art, enhanced by the sun, movement and pedestrian viewing angle. 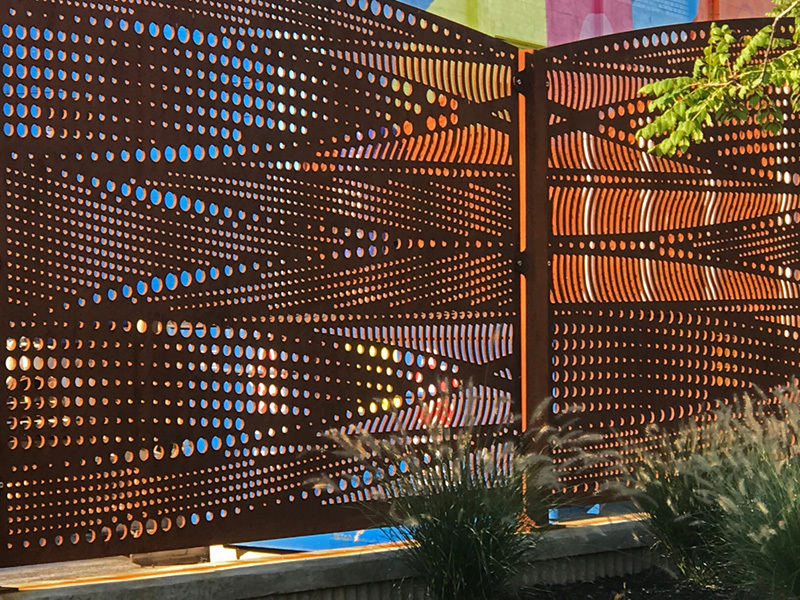 The flowing pattern design recalls the passing of trains and the glint of light on water, suggested by the nearby destination, the Lower Lake in City Park. 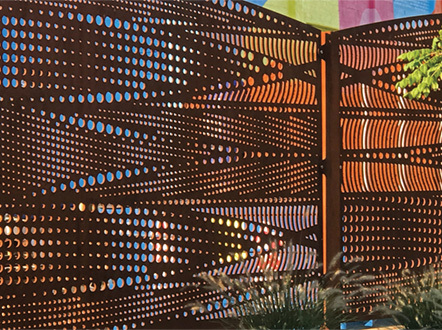 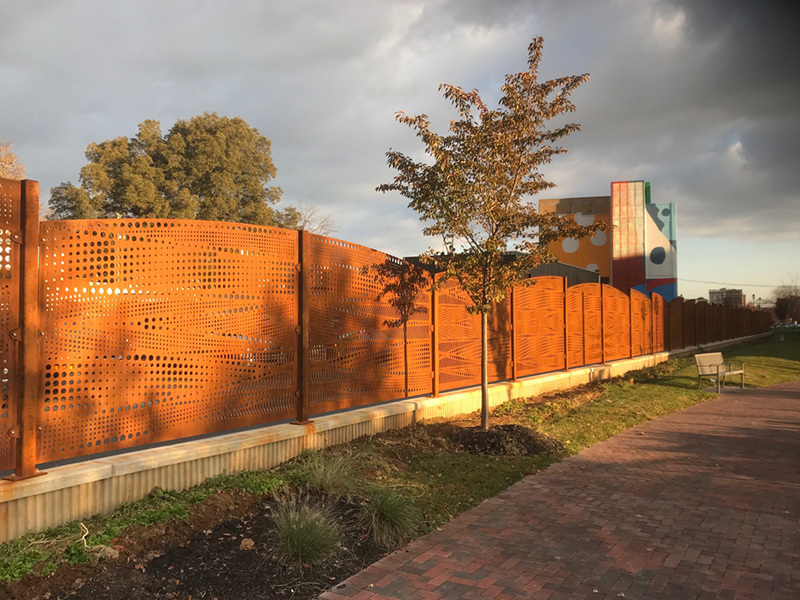 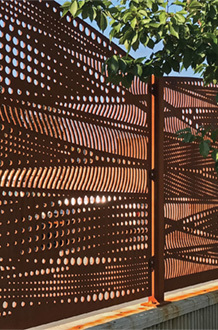 As one meanders through along the Trail, the Railroad Switch Fencing transforms the boundary, screening the Sculpture Garden while promoting a cultural narrative and sense of place.